We have been conditioned to believe that any food that is healthy for us doesn’t taste good. When I first made the decision to cut out gluten, grains and refined sugar, I cried. I cried for about two hours. Then I got up the next day, made myself a delicious cherry tomato & cheese omelette for breakfast and I have never looked back. Sure I have cravings some days for my “old” foods but they are short-lived especially when I consciously conjure up flashbacks of how sick I used to feel. It would never make sense to me to eat a chocolate croissant for a few minutes of pleasure to go back to that. A few short weeks after cutting out gluten, grains and refined sugar I realised that I could use my passion for cooking to my advantage by making delicious new “legal” dishes. I found that I became even more obsessed with food than I used to be! My mission became creating meals comprised of healthy, nourishing foods that were helping me to heal, not to mention were seriously delicious. I began to push myself to make food that my husband and daughter (who are not on any special diet) would be happy to eat. Now, we all eat healthier food not because we have to, because we want to! This three ingredient no-churn ice cream is so tasty you won’t believe it is so easy to make. 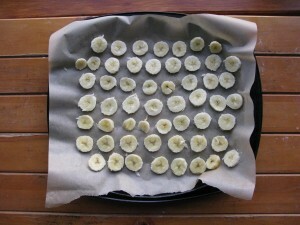 It’s also a great way to use up over-ripe bananas. 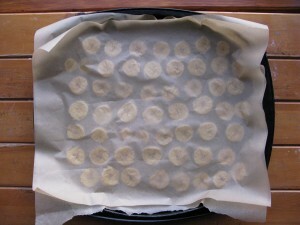 Just freeze the bananas in slices, as shown below, for two hours prior to blending. 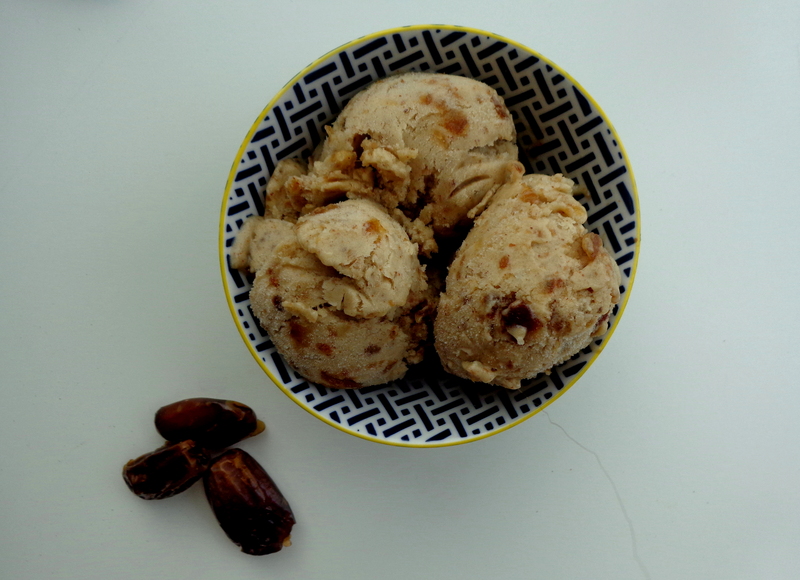 Medjool dates work best for this recipe. I buy my organic ones from my local farmer’s market. Not cheap but so worth it! If you are buying dates from a supermarket or other store in a packet, check the ingredients carefully. I recently checked a packet in the local store to find “glucose syrup” was the second ingredient. Avoid like the plague! A naturally sweet and delicious ice cream better than the real thing! Process all the ingredients together in a powerful blender. 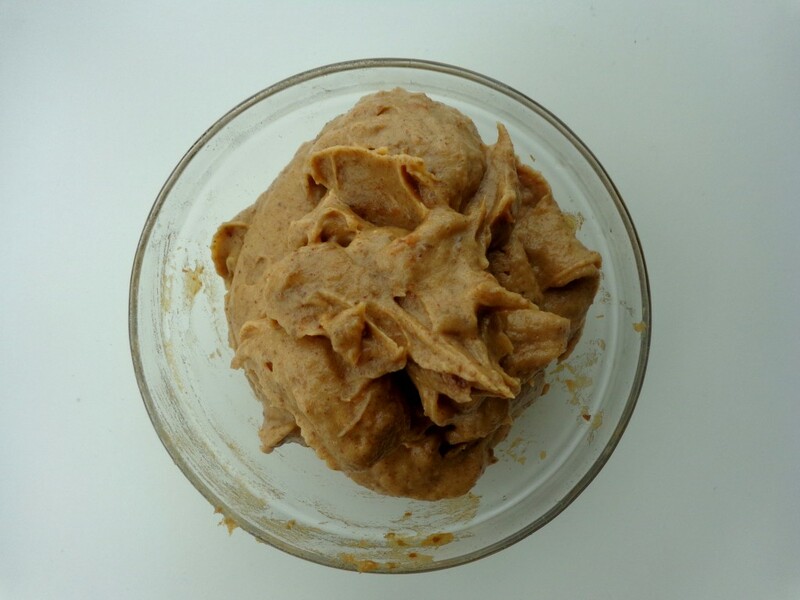 Freeze in a freezer safe container for at least two hours. Then, enjoy! Looks fantastic — can’t wait to make it! I’ve just discovered your website and love it! Thank you so much Allison. Hope you like this one as much as we do!! Thank you Maria from Finland, too! Just began with SCD diet again after few years, and am happy to discover that there are so much more recipes to be found than before!